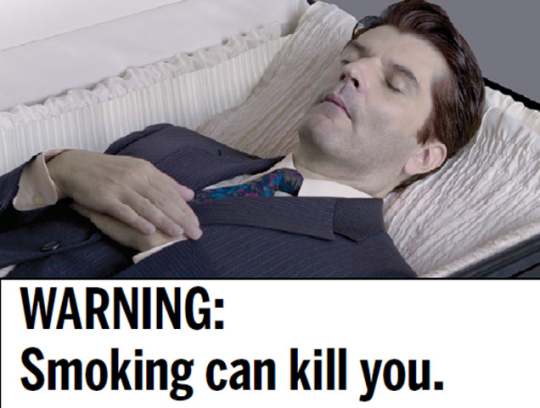 The CDC has recently begun a $54 million anti-smoking ad campaign. It is disgusting. The hope is that these graphic ads will pressure people into quitting, and they appear to be working: Since the ad started airing, calls to 1-800-QUIT-NOW have doubled, and visits to the government’s anti-smoking website have tripled. For New Yorkers, these types of ads are nothing new: New York (and, I assume, some other states as well) has been running ads of this variety for years. And while quitting smoking is a worthwhile goal, these ads are very disturbing for a number of reasons.